A few months ago my dishwasher of 15 year went out and oh, what a sad day it was. As someone who loves to cook and has a family of 5 who loves to eat, I became immediately aware of just how many pots, plates, and glasses my family uses in a day! It also put me on the hunt for a new dishwasher. A lot had changed in 15 years! The number of dishwasher features and options was almost overwhelming! 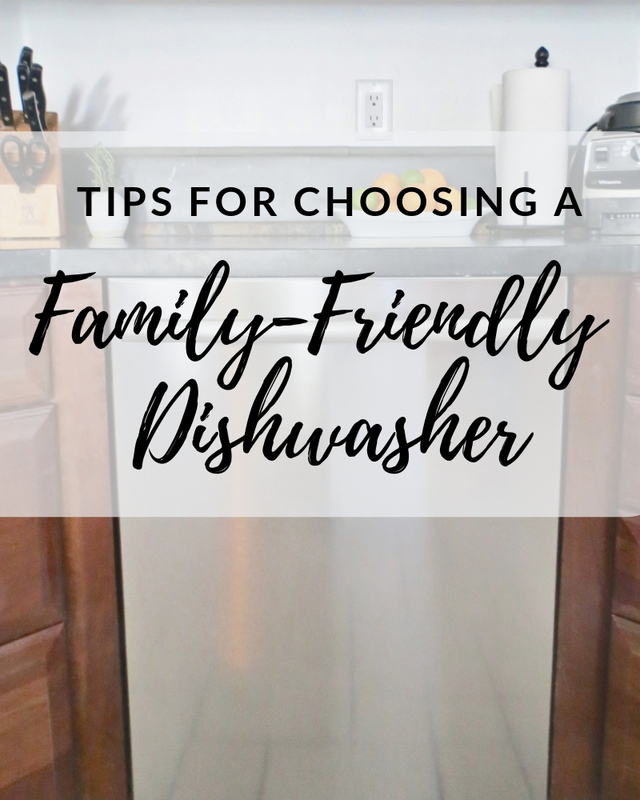 But through the process, I learned some important tips about how to choose a family-friendly dishwasher. 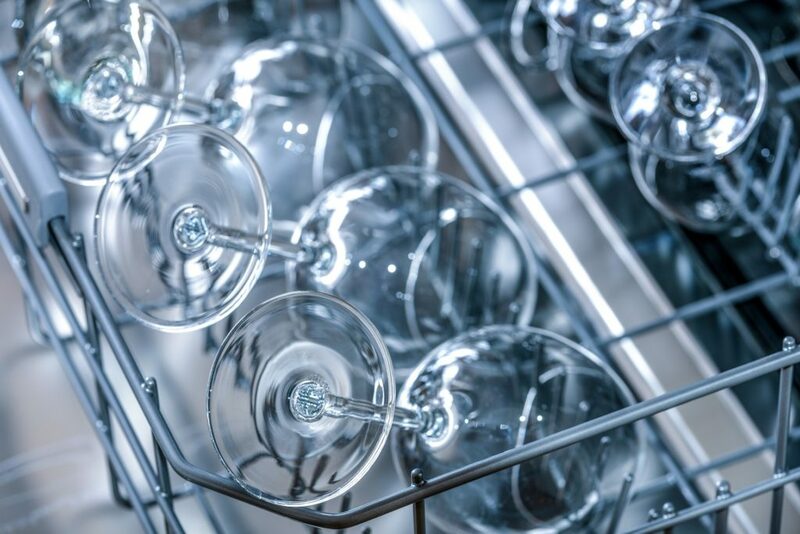 Before you start shopping, think about what dishwasher features are most important to you. For me the two biggest ones were capacity and quietness. As a family of 5, I need the dishwasher to be able to hold a whole day’s worth of my family’s dishes and with our open-concept floor plan, having a quiet dishwasher is key. My quest for quiet led me to Bosch, the top-rated brand for quiet dishwasher in the United States. Their Super Silence Plus models are as quiet as 38 dBA! That’s the same rating as a soft whisper! Quiet: At 48 dBA, the 100 Series is one of the quietest models in its class. In fact, the first time my husband ran it, I didn’t even know it was on until halfway through the cycle when I heard the water drain! High-capacity: This dishwasher (along with many other Bosch models) comes with a third row which adds 30% more capacity to the dishwasher. This third upper rack is great for silverware, cooking utensils, pot lids, and other odds and ends. Cycles families care about: Sometimes it seems like dishwasher come with dozens of different wash cycles and you only use 1 or 2 – sound familiar? 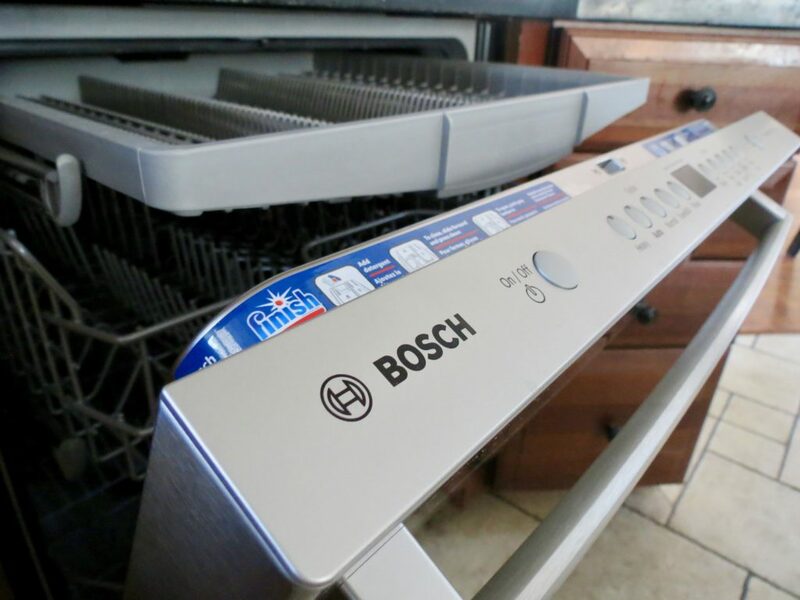 The Bosch 100 series comes with 5 wash options and they are the ones I care about like the short Speed60 cycle, a Sanitize option for when the kids are sick, and even a half-load option for when I want to run the dishwasher but don’t have a full load. 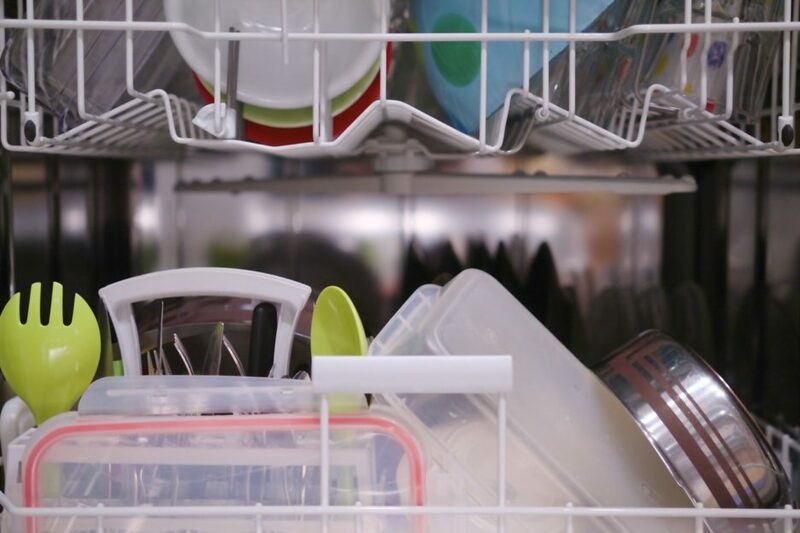 Flexible loading: My old dishwasher had two racks and it was my job to Jenga the dishes in there to make them fit – whether a regular weeknight, weekend dinner party or holiday clean-up. With the Bosch 100, I not only have the added space of the third rack, but the second rack has three adjustable height options. Bosch calls this their “RackMatic® height adjust­ment system”. So whether I have big pots on the bottom rack or long-stemmed wine glasses on top, I can adjust the height of the rack to make sure everything fits, every load. Even the rack tines and the silverware basket are adjustable! Fingerprint-resistant stainless steel: Parents rejoice! If you have stainless steel appliances and kids, you know the woes of fingerprints. But the Bosch stainless steel is different. 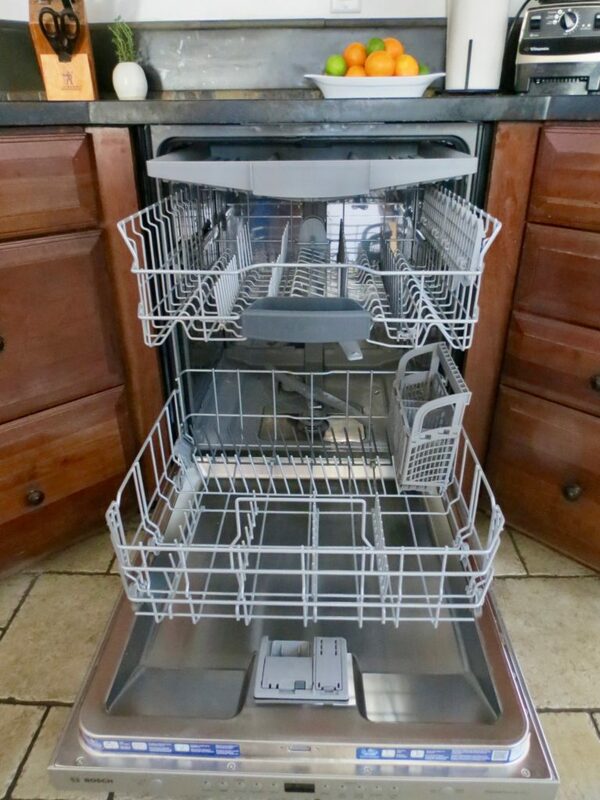 With three kids and a dog in the house, I used to wipe down my last stainless steel dishwasher every – single – day, but now, I do it once a week if that! 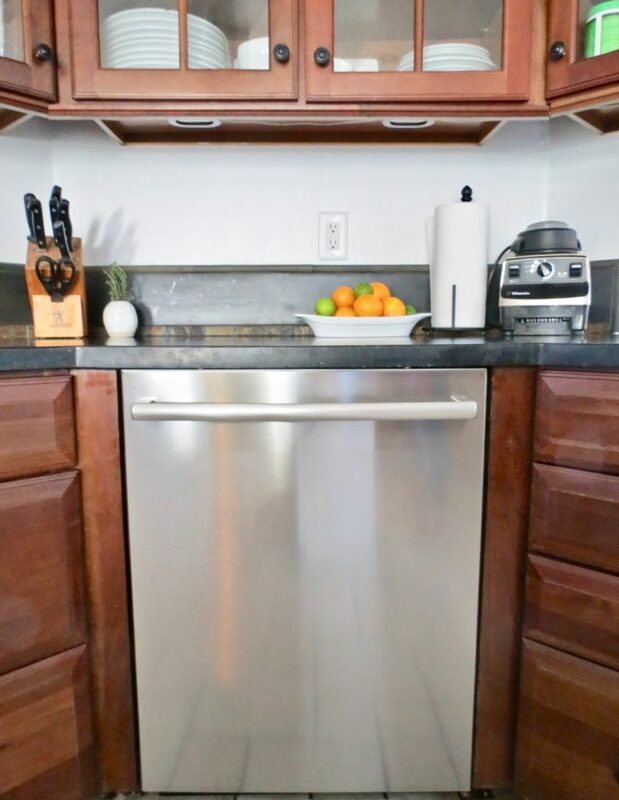 The fingerprint-resistant stainless steel helps to keep the outside of the dishwasher as clean as dishes inside get. Hidden controls: This time around, I opted for a dishwasher with the controls hidden on the top which means no stray toddler fingers resetting the controls or teens accidentally turning on the dishwasher as they lean against the counter. The hidden controls also give the dishwasher a sleek exterior that I’m not complaining about! In the market for a new family-friendly dishwasher? 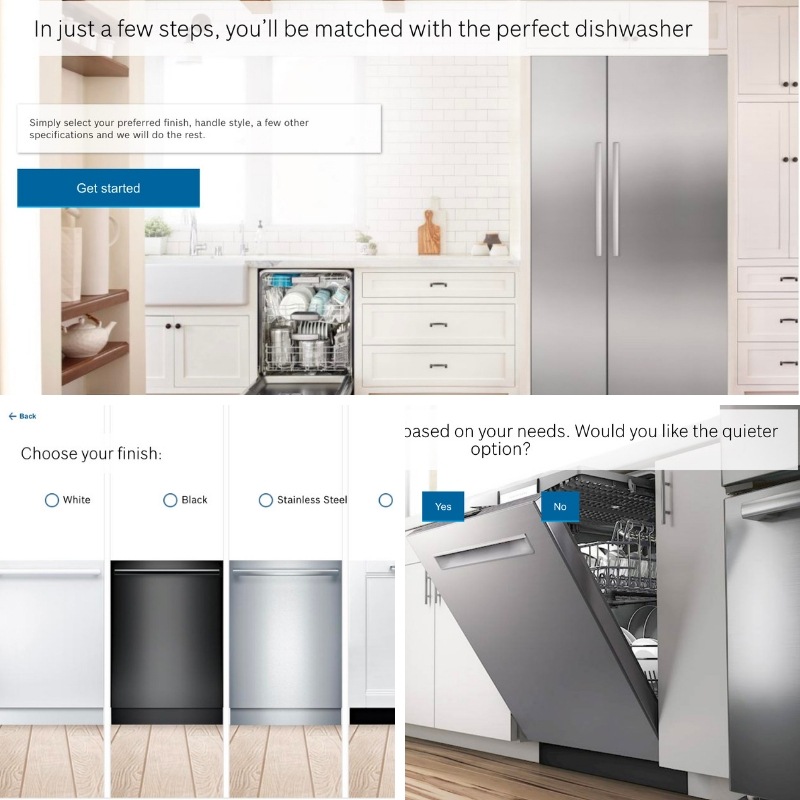 Head over to Bosch to find search through their features and price points to find the perfect dishwasher for YOUR family. Disclaimer: This is not a sponsored post.All opinions are my own. A product sample was provided for the review. Kate Bayless is a Southern California-based writer and editor with a decade of bylines in national glossies and around the web. 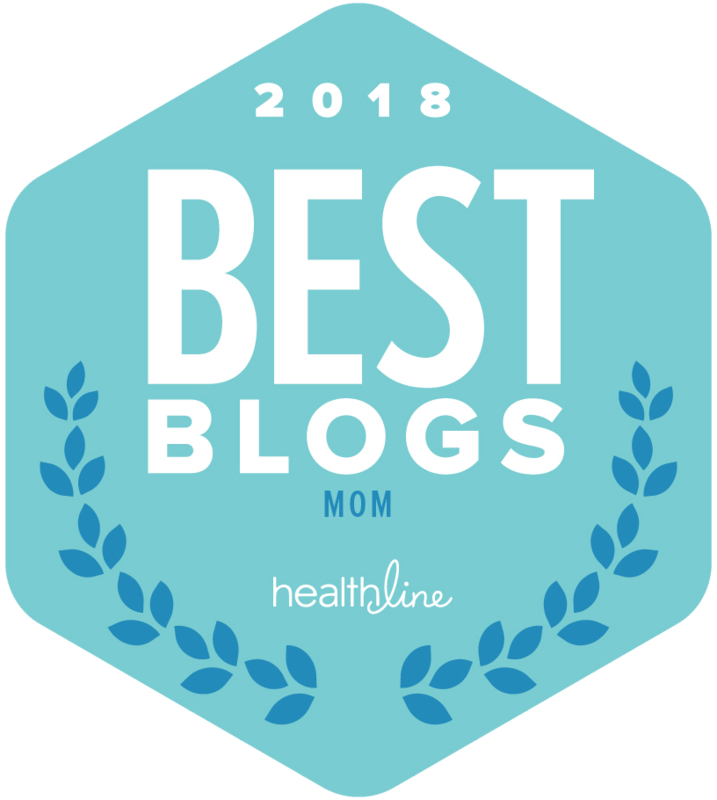 She writes regularly about parenting, beauty, tech, travel and more.